We all want our children to feel loved, but sometimes the way we love is different than the way our child wants to be loved. The fact is, children, express and receive love in a variety of ways, and sometimes their love language is different from our own. By understanding the different love languages of kids, you can more easily determine how your own children want to give and receive love, making them more receptive to your efforts to connect with them. The concept of love languages was created by Gary Chapman, who originally outlined the idea in relation to adults. His later book, The Five Love Languages of Children, narrowed his study to help parents create stronger relationships with their children. The five languages of love outlined in Chapman’s book include acts of service, gifts, quality time, physical touch, or words of affirmation. By understanding your own child’s emotional needs, you can drastically improve their quality of life. As humans, we naturally give love in the way we receive it, but a child may not comprehend that there are different ways to love. In addition to creating a stronger connection with your child, showing them love through their own love language can make help them develop stronger relationships into adulthood. A child who feels loved also has less behavioral issues, a higher emotional maturity, and less need for negative peer or teacher attention at school. 1. Acts of Service – Kids who need acts of service feel loved when you do things for them. This could be something as simple as bringing them breakfast in the morning or brushing their hair before bed. These children may ask you to do things you know they can do on their own, merely because they want you to show them you love them in their own way. 2. Gifts – Other children feel appreciated when you shower them with gifts. They relish in the fact that you took the time to think of them when searching for the perfect present. If you child frequently asks for gifts, they may be speaking this love language. 3. Quality Time – Some kids just want to spend time with you. By giving them your undivided attention, you are telling them you love them. But they also notice when you’re not fully present because they need that connection with you to fully feel loved. 4. Physical Touch – Physical affection drives these children. Whether it’s hugs and kisses or just holding your hand as you walk together, every physical contact you make with a child who speaks this language reminds them how much you love them. 5. Words of Affirmation – These children need to be told how much you love them through words. In addition to saying how much you love them, children who speak this language also see love in words of praise and appreciation. 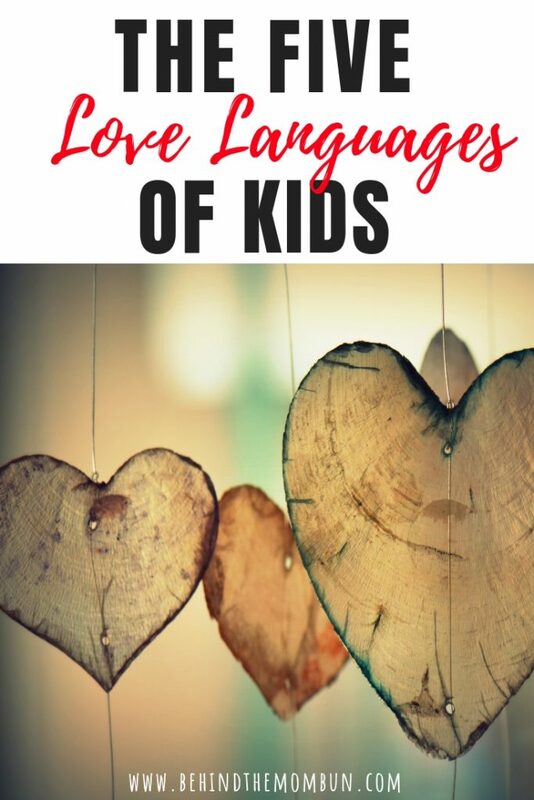 The final love language on the list is one I want to focus on because it can often be challenging to come up with new and exciting words of affirmation for your children. If you see that your child needs to be built up frequently, you can understand the importance of these words of affirmation. Especially in the negative world we live in, where there are so many people telling our children they’re not good enough. The good news is that these short phrases are simple to incorporate into your daily conversations. Just make sure you genuinely mean each word you say to your children and these affirmations are sure to have a positive impact on their day. I’m proud of you for _______. I can see you worked hard on that. You are a great brother/sister. I’m so happy you’re my son/daughter. You made a good choice today. Great job on your test. You are amazing at ____. I can’t believe how grown up/independent you are. You have some amazing talents. I know you’ll do awesome things in the future. You make me proud to be your mom/dad. You are a blessing to this family. As parents, we are a very influential voice in our child’s life. 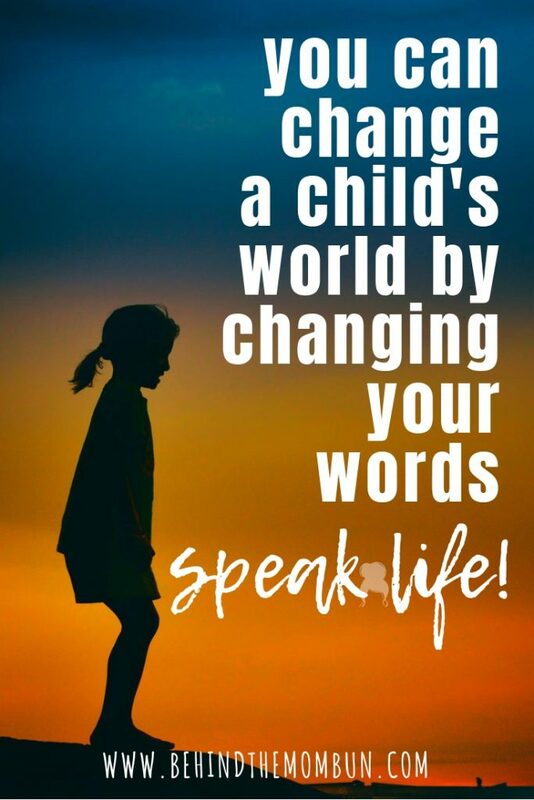 Make the words that your child hears from you once that are positive. You won’t believe what an impact these simple phrases can have on your child’s day – especially if you’re speaking their love language. 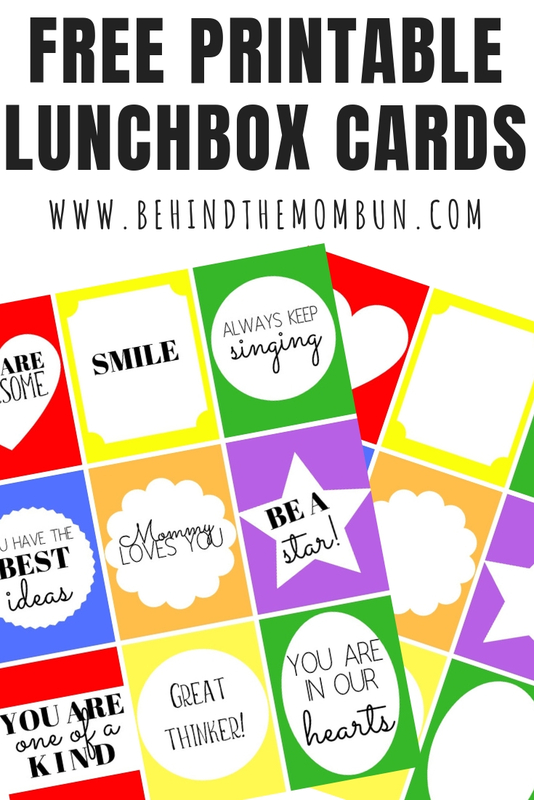 Grab these free printable lunchbox cards here.